Authoring a book about the importance of early childhood education has created many wonderful opportunities for me. 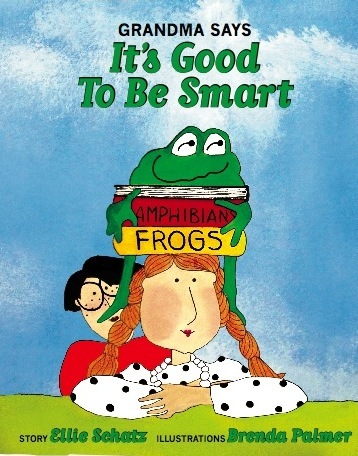 Copies of “Grandma Says it’s Good to Be Smart” are now in all of the Madison Public Libraries and are for sale at the Madison Museum of Contemporary Art. Recently I was interviewed by Jim Zellmer (link to his zmetro.com blog), a leading education blogger (link to schoolinfosystem.com) whose School Info System reaches tens of thousands of educators, parents, activists and policy makers. Jim: What’s the best, most effective education model these days? Obviously, there are traditional schools. There are virtual schools. There are chartered schools. There are magnets. And then there’s the complete open-enrollment thing. Milwaukee has it, where the kids can go wherever they want, public or private, and the taxes follow.Ellie: [32:52] I think there’s no one best model from the standpoint of those models that you just named. [32:59] What is important within any one of those models is that a key player in making that education available to your child believes that no matter how good the curriculum, no matter how good the model, the children they are about to serve are different, that children are not alike. [33:30] And that they will have to make differences in the curriculum and in the way the learning takes place for different children. [34:05] You cannot just sit this curriculum down in front of every child in the classroom and say, “We’re going to turn the pages at the same time, and we’re going to write the answers in the same way.” It does not work that way. You must believe in individually paced education. Thanks to Rick Kiley for arranging this conversation. This entry was posted in Early Learning, Gifted and Talented Children, Growing up smart, It's Good to Be Smart, school models, Teaching smart kids, The chance to learn and tagged academically minded, interview with Jim Zellmer, life-long learning, raising smart children, school models, WCATY. Bookmark the permalink.